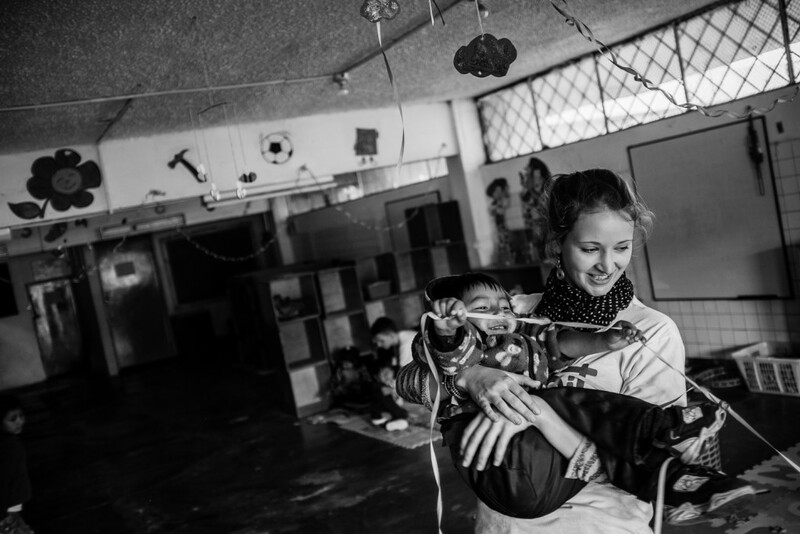 Rescate de Calle (Rescate) aims to restore and promote the fulfilment of rights for vulnerable and working children and adolescents in Quito’s poorest market sectors. The program identifies and analyzes specific sectors of the city where there are at-risk and vulnerable girls, boys and adolescent workers, with the goal to place them in the various educational programs offered by the organization or other educational institutions. The program currently operates in Quito’s Chiriyacu-Camal and San Roque markets. Although child labour is an everyday occurrence in Quito, we believe that not all “everyday” occurrences in society are justified. RESCATE´s social workers coordinate with other institutions to build awareness of the harmfulness of child labour. They also educate parents on themes of fair treatment to initiate changes in familial relations that ensure the wellbeing of all family members. Many children spend the whole day accompanying their parents or working in the markets. Often they do not receive the attention or intellectual stimulation necessary to develop socially and mentally as fast as their non-working peers. RESCATE provides informal pre-school education that prepares 3 -5 year olds for their entrance into formal schooling and prevents them from becoming child workers. Our service focuses on motor skills, instruction on education basics such as learning colors and numbers, and development of good hygiene habits. A team of 10 – 15 volunteers along with paid Ecuadorian staff provide this service. Learn more about volunteering with Rescate de Calle here.